The American pine marten and Pacific marten are cute, furry animals reminiscent of weasels or ferrets. They live in forests all over the west, from islands off the coast of Alaska, to Canada, California, and even New Mexico. 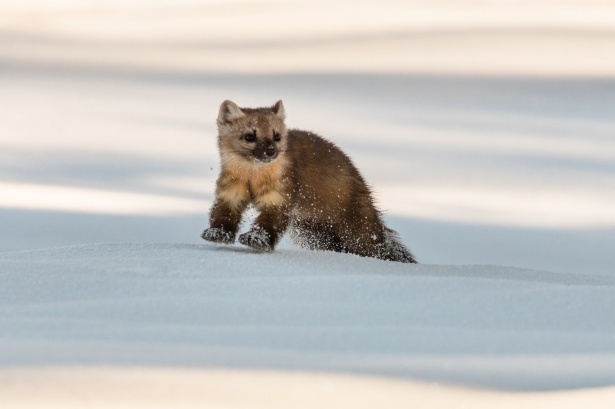 As a federally designated Management Indicator Species (MIS), martens play a big part in monitoring the health of the forest ecosystems they live in, according to Jocelyn Colella, a doctoral student in the University of New Mexico’s Biology Department. The existence of two marten species in our forests can be a delicate balancing act. In a recent paper Implications of introgression for wildlife translocations: the case of North American martens published in the Conservation Genetics Journal, Colella uses genetic sequences (e.g., DNA) to understand how breeding between these two species impacts their evolution and conservation. She used resources at the University of New Mexico Center for Advanced Research Computing (CARC) to analyze her genetic data. “Because of their dependence on healthy forests, martens are a federally designated Management Indicator Species. 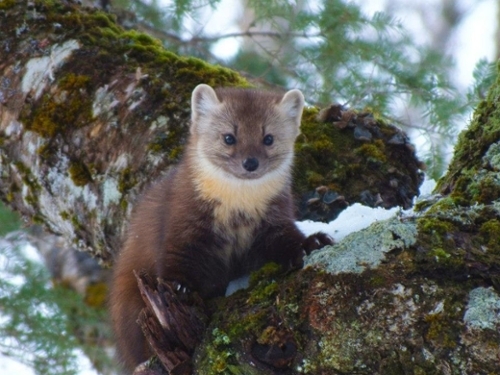 This means that the health and robustness of marten populations directly informs us about the health of the ecosystem and forests they live in. The U.S. Department of Agriculture Forest Service recently reopened regions of the Tongass National Forest in southeast Alaska to logging, which is expected to impact forest-associated species, like martens, particularly because environmental disturbance is known to trigger hybridization by pushing previously disconnected species into contact. So, it’s important to establish what baseline genetic diversity looks like in these populations so we can monitor how they change over time in response to various environmental disturbances,” Colella explained. Prized for their fur, martens are the highest grossing commercial furbearer in the United States and are important to northern economies. For this reason, martens have been introduced in some areas with the intent of increasing population sizes and, hopefully, economic yields. However, many of these manipulations occurred without an understanding of current species diversity in these regions, Colella said. When the two marten species (American pine marten [Martes americana] and Pacific marten [Martes caurina]) come into contact in “natural hybrid zones” or where their ranges naturally overlap their health and survival can be affected, with Pacific martens being negatively impacted by interbreeding. In the last few decades, North American forests have been hit hard by catastrophic fires, parasite infestations like bark beetle, human encroachment, and land conversion. These changes will inevitably shrink available marten habitat and less habitat means fewer martens. “It's important to continue assessing the genetic diversity of these populations as their environment changes and available habitat shrinks so that we can ensure their populations do not become inbred, which can lead to physical and reproductive issues, creating a quick road to extinction,” she said. Colella used CARC resources for bioinformatic analyses: sequence alignments, phylogenetic tree estimation (gene trees and species trees), summary statistics, and to assess introgression (or the directionality and intensity of hybridization between the two species). “CARC is a phenomenal resource for UNM professors and students. The short (or non-existent) queues and technical support is unrivaled across the nation. I work on multiple supercomputing clusters and CARC support goes above and beyond,” Colella said. While Colella’s research has taken her inside the Arctic Circle, some of the samples she uses for her research are provided by permitted trappers who would otherwise discard the carcasses. The resources are added to and loaned from the collection at the Museum of Southwestern Biology on the UNM campus, which houses the third largest mammal collection in the world. Awareness about how genetics impacts species survival is important for both the lay public and scientists and managers.